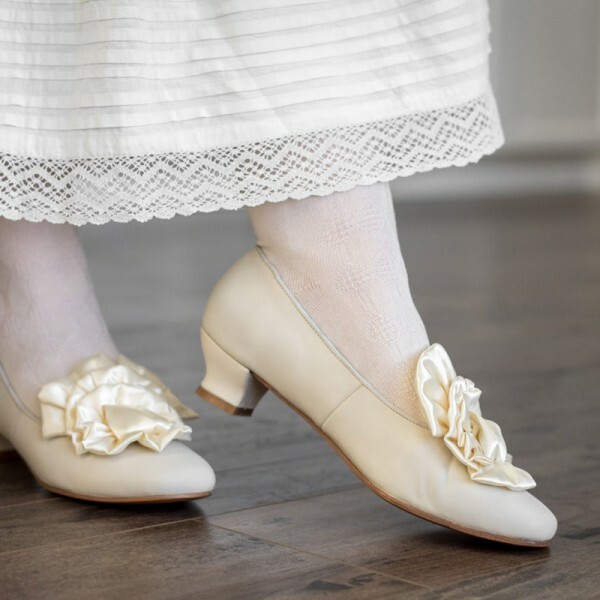 Tissot Victorian Pumps offer the ideal silhouette, comfort, and style for costumes of the late 1850s through the 1880s. 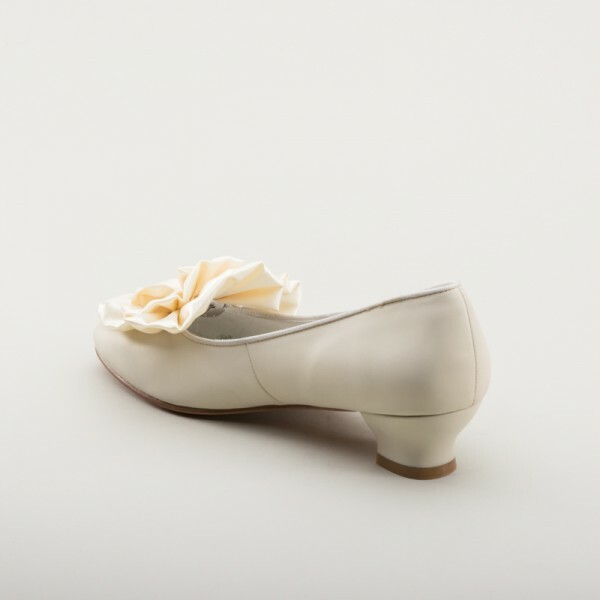 Constructed of soft ivory leather, and lined in ivory linen textile, Tissot features the characteristic soft square toe, short opera heel, and large satin clip-on rosettes, typical of the mid-Victorian period. 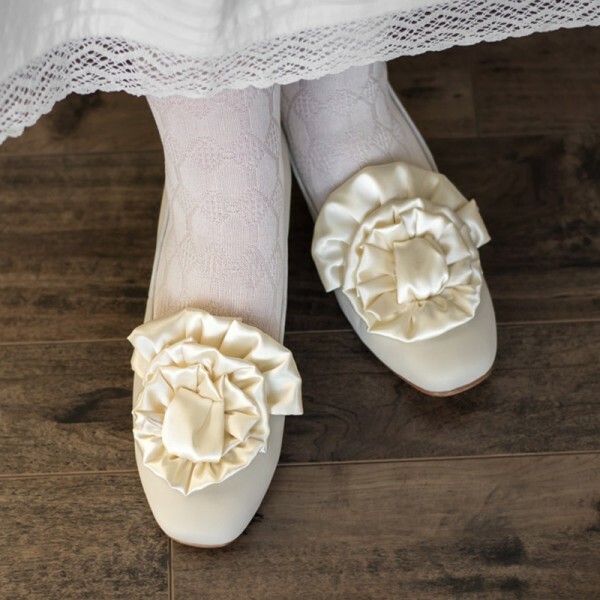 Dress Tissot up or down with the rosettes or switch them out for bows or other mid-Victorian clip-on designs. 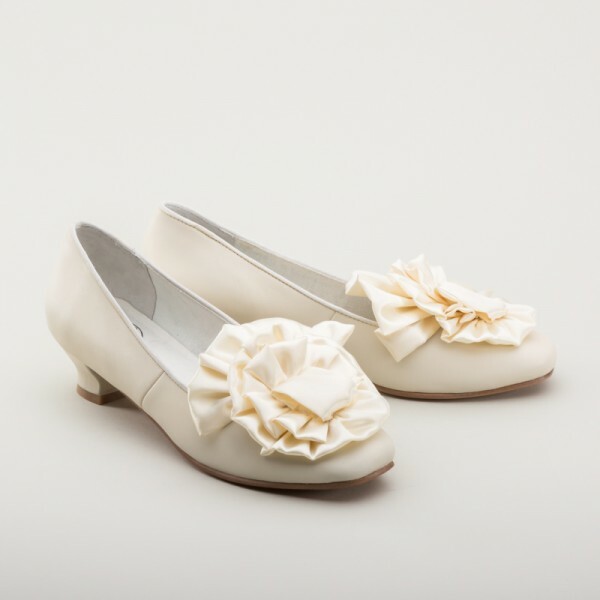 These versatile shoes work for both day and evening, for a broad range of periods and styles. 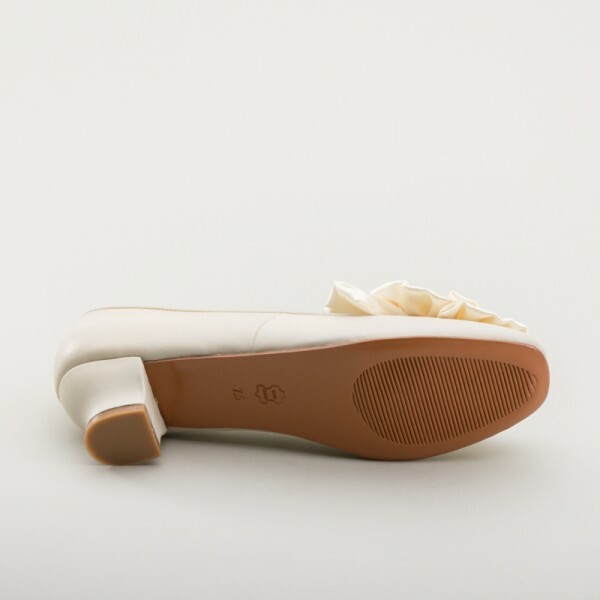 We recommend ordering a half size smaler. 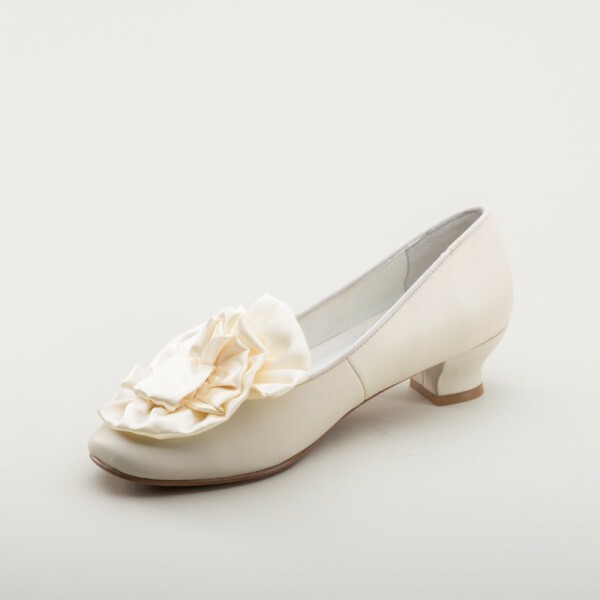 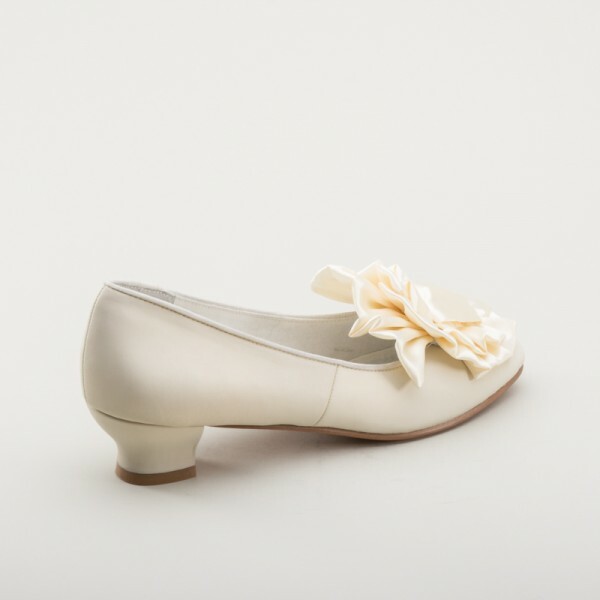 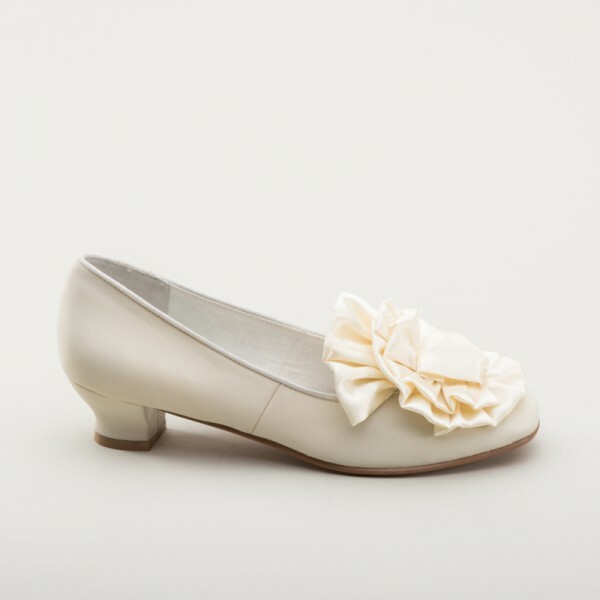 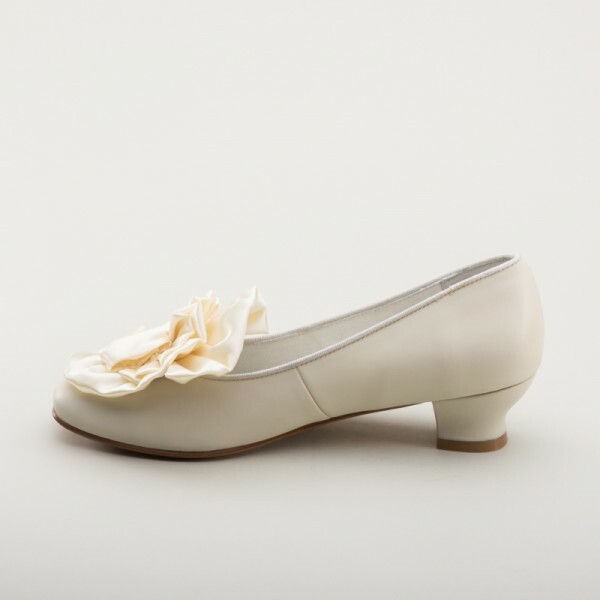 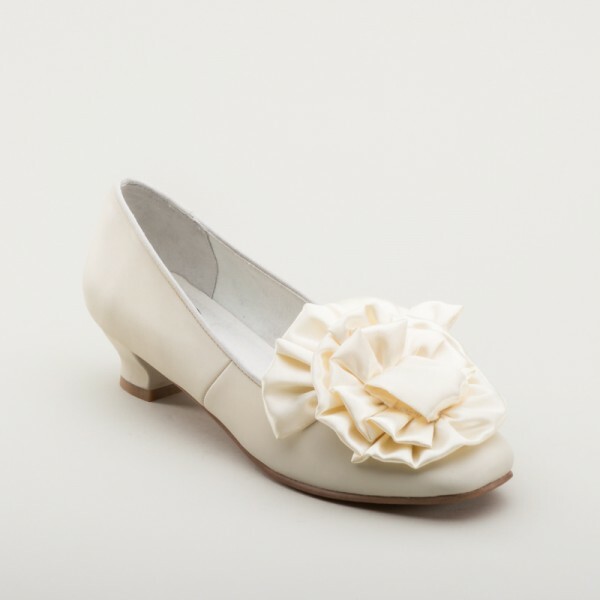 "Tissot" Victorian Pumps (Ivory)(1850-1880s) has an average rating of 5/5 from 2 reviews.